As the hands of time continue to march forward, we find ourselves now approaching the 70th anniversary of the epic events of WW II. While the participants of those desperate times steadily dwindle, efforts to honor and acknowledge their sacrifices and service are being held around the country at appropriate venues. 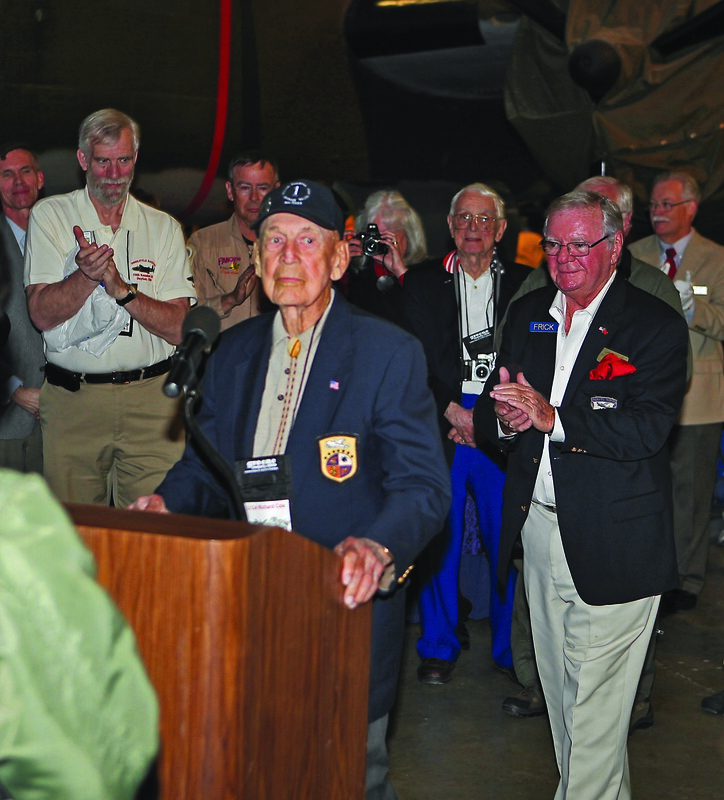 To commemorate America’s first aerial strike against Japan to avenge the Pearl Harbor attack organizers at the National Museum of the U. S. Air Force hosted the 70th reunion for the surviving Doolittle Raiders during the week of April 16. 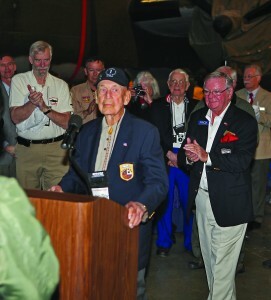 With co-hosting by the Doolittle Tokyo Raiders Association, the flying event was highlighted by the presence of 20 B-25s gathered from around the country through the extraordinary efforts of warbird owner/operator Larry Kelley. 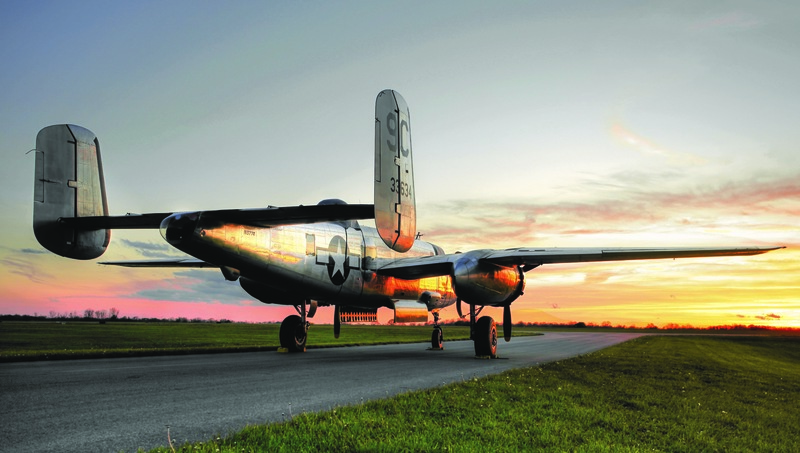 Kelley, who also arranged a similar event two years ago, worked through multiple barriers and limited sponsorships and successfully brought the warbirds in to stage at Grimes Field in Urbana, Ohio. Arrivals began on Sunday the 15th although weather delayed arrivals from both east and west directions. Field activities at Grimes were ably managed by Ron Kaplan and a superb ground and marshaling cadre. Flying activities began pre-dawn on Tuesday morning when flight crews prepped their aircraft for a trail formation takeoff, including a carrier-type launch recreation from Grimes Field. After a sunrise arrival at Old Wright Field, the assembled Mitchell bombers and crews were opened to the general public.